It is not surprising that Dubai is getting into the swing of things for having drone service providers. With the numerous plans for expansion and its journey towards becoming a smart city, Dubai has truly taken the necessary steps in providing the latest technology to its people. You can remember last year when the drone taxi service was tested as part of a 5-year development plan for the emirate. Without a doubt, Dubai is moving towards a community that embraces technology, not only for efficiency but also for productivity and welfare of the residents. But what exactly are drone services? If you have not read our other blogs on investing on drone service in Dubai and the advantages of drone services in Dubai, allow us to take you through a rundown on the most important things you should know. Drone service providers are teams of engineers, pilots and other professionals who utilize this amazing piece of technology to work more efficiently in the field thereby allowing companies to delegate manpower effectively. In the construction industry, days of surveying can be cut down to merely hours with the same accurate and precise data. This allows projects to be completed faster because the bulk of the manpower can now be delegated to the actual project execution. The agriculture sector can utilize drones for tasks like cloud seeding or crop monitoring without spending huge amounts for traditional aerial services like helicopters and jets. Humans are now programmed to find the most efficient way to complete a task without breaking the bank but at the same time produce outstanding results. Drone service providers provide companies with more time to produce results rather than gathering them. There are a lot of factors to consider when choosing a provider in Dubai. After all, the success of your project will depend on the quality of data that the provider will collect for you. Here are 6 questions to ask to help you choose if the drone service provider is what you are looking for. 1. Are they an inspection company or a photography company? Before the rise of unmanned aerial vehicles, companies have utilized and invested in helicopters or rental services just to have aerial shots. From there, the drones companies came out and people were able to get the same results at a fraction of the cost. See, the goal of drone service providers is to help you collect data in the field for use in other applications but we are not here to do a photoshoot for you. We get help get things done more efficiently and safely in the most cost-effective way possible. We get into the nitty-gritty of data collection and analysis and our workflow is centered on that. We are not photographers. Owning a professional drone (or drones, for that matter) does not automatically qualify somebody as a field expert on drone services. Check the portfolio or previous clients of the company. If they are a new company, ask them about their qualifications, permits, and training. You are the client so you have the liberty to inquire and ask all your questions. 2. Are they licensed to fly? Let’s face it: everything is more professional with paperwork. So go ahead and check your drone provider’s documents. Are they from a reliable company like Sanad Academy? Are they authorized by the UAE government? This paperwork is required for a drone service business to be in operation but in this day and age, you will get freelancers all over who would work under the table. Yes, the costs may be cheaper and no lengthy formalities are required but are you really willing to put your project at risk with somebody who is not authorized to fly? Be economical, but do not be cheap. 3. What equipment do they have available? Research on the types of professional drones first before you scout for your ideal drone service company. You can check out the M600 Pro which is one of the drones that the SkyStance team uses, the Sensefly eBee, S900 or S1000 from DJi or this list. Another bonus (that we can do for you too) that gives you more bang for your buck is a product demo of the gear in action. This way, you will have the first-hand experience of the drone service provider capabilities plus their equipment. Anybody can buy a drone. The consumer market has grown so much in the past few years that major companies are churning out models like hotcakes. And people are investing on these machines for many reasons including entertainment and for the sheer “cool” factor of it. But not all of them can fly over fields, can do thermal inspections, gather data for land surveying or even fly over flare stacks. There are a lot of low-quality products in the market and if your chosen provider uses them, we wish you good luck. 4. Do they have I-N-S-U-R-A-N-C-E? Who does not love a safety net? Although required by law, your chosen drone service provider should be well-covered by an insurance policy. By tooth and nail, drone service providers aim to operate in the safest way possible but we cannot predict accidents or malfunctions during flights. Make sure that your chosen provider has extensive insurance coverage especially if your project is particularly risky by standards. 5. What are their operations and safety protocols? We have mentioned that anybody can have a drone but not anybody can be a qualified pilot. Drone service providers operate under protocols that ensure safety for all those involved during a flight. This includes everything from pre-flight to post-flight events. You can’t really expect a company to just fly when you say you want them to fly, right? So when choosing a drone service provider, ask them about their operations procedure. Make sure you understand the premise behind their protocols as they may vary from one provider to the other. Tell them your concerns and make sure that they can be addressed. Be realistic and reasonable as well in providing your ideal results because there are also limits to what drone service providers can give you. And as cliché as it may sound, it is still better to be safe than sorry. 6. Do they actually know how to get what you need? Going back to our first point, gathering data for industrial use is different than photography. You are not after the scenery; that’s just a bonus in some cases. Drone services are considered specialized services because these pilots are trained to navigate through spaces which are otherwise inaccessible or difficult to reach. This requires the expertise of a team who knows what they are doing. You are not building a portfolio for display. A drone service team usually consist of a pilot and the industry expert who would know where to navigate to get your data. The pilot is trained to understand the demands of the site to be able to navigate smoothly. More often than not, these drone service providers would also have the software to analyze hundreds of data points that they are able to get and provide them in the format you require. We hope these questions would be able to help you get a service provider who would be perfect for your needs. And while you are here, check out the services that SkyStance can offer and contact us for a consultation. We would love to discuss what we can do for you. 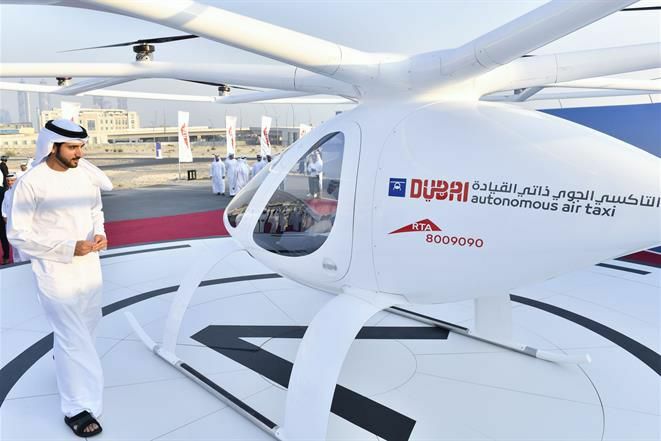 Previous How Can Drones Help Dubai’s Goal for Expo 2020?